Looking for a Local Plumber in Sydney? Whether you are in the process of building your new home or renovating an existing one you need a reliable, honest plumber you can trust. 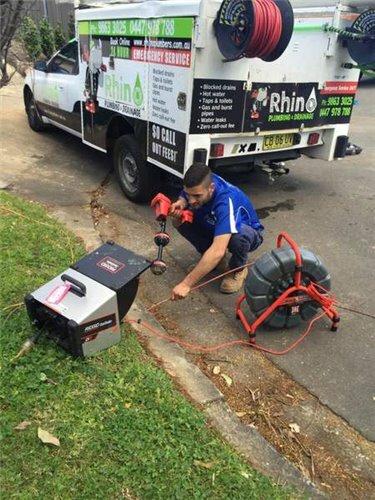 Rhino Plumbing and Drainage Sydney specialise in both residential and commercial services, using innovative state of the art equipment, we will ensure your system is in place and functioning effectively. Leaking pipes, clogged drains? Issues left untouched can cause significant damage to your property. Accept nothing more than the best. With many years between the team in the industry we are one of the leading specialists in Plumbing and Drainage in Sydney. 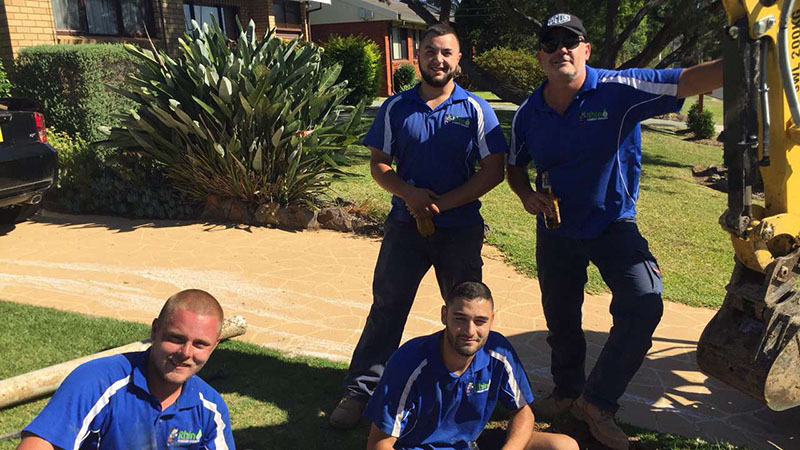 Based in Metropolitan Sydney, our plumbers have a wealth of expertise and will bring to you their years of knowledge and genuine customer service throughout the Sydney region. From the outskirts of Campbelltown, Penrith and Richmond to the vibrant metropolitan hub of the CBD, our team thrives on a challenge and welcomes your emergencies. Upon choosing us, you are putting your trust into a family run local business. Being a local expert team, we have worked with many families and businesses to fix plumbing requirements. Our team takes pride in providing our residential and commercial clients with honest and reliable services. Wen are a tight knit team with many years of experience; highly focused, hardworking individuals who are passionate about what they do. The plumbing installation is an integral part of your property whether it is residential or commercial and deserves the best treatment and maintenance. Our company is dedicated to focusing on making our services readily available to our clients in need. Offering you a round the clock 24-hour service, on call to immediately attend to your property. A diverse portfolio of completed projects in New South Wales, which is a testament to quality workmanship. With many years of on the job experience and qualifications our team are well placed to give you the right advice and information. With no hidden costs and reliable honest service, even offering pensioner discounts, discover our difference today. We welcome all EFTPOS cards for an easy payment solution. Sydney, Greystanes, Parramatta, Canterbury, Bankstown, Hills District, Rouse Hill, Wentworthville, Liverpool, Fairfield, Pemulwuy, North Shore. Give your sewer & stormwater drainage lines a powerful (26hp) hydro jet blast right out to the mains, shredding tree roots, clean & flush debris etc Latest Ridgid self levelling camera service included, probing lines looking for cracks/abnormalities for your peace of mind. Rhino Plumbing & Drainage Pty. Ltd.